Political advisers in the country, currently busy promoting Knesset candidates, would give anything for someone to love their clients the way the Israeli media loves its chiefs of staff. 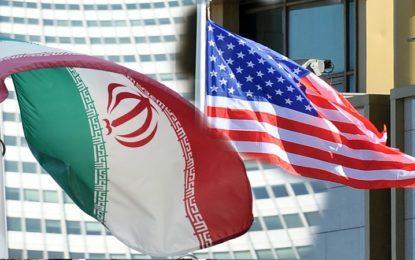 The series of blows exchanged between Israel and Iran in Syria earlier this week was described by one newspaper as a resounding Israeli victory, and by another as a brilliant ambush that the new Israel Defense Forces chief of staff, Lt. Gen. Aviv Kochavi, set for his adversary, the Iranian general Qassem Soleimani. In Haaretz, too, cartoonist Amos Biderman depicted Kochavi piloting a warplane and bombing Soleimani with missiles, while the latter wonders whether this is what a vegetarian chief of staff looks like. So, on the domestic propaganda front, the IDF chalked up a victory. That narrative was fondly adopted by the newspapers and the electronic media. Kochavi, who is far from enthusiastic about the frequent mention of his dietary preferences, set out to correct any false impression during the ceremony marking his installation, when he talked about his wish for the IDF to be a “lethal army, efficient and innovative.” The attacks in Syria and the reports that followed also helped the cause. The operation the Israel Air Force launched, according to Syrian sources, at midday on Monday in the vicinity of the Damascus airport was apparently based on intelligence received about concerning new Iranian arms shipments. 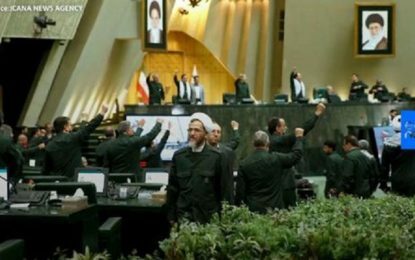 The Revolutionary Guards’ Quds Force, of which Soleimani is the commander, responded with a move that had been planned some time in advance: by firing an intermediate-range, surface-to-surface missile into northern Israel. The IDF, too, appears to have planned for such a scenario: The Iron Dome system intercepted the lone missile successfully. A few hours later, there was a fierce Israeli response in the form of an extensive attack, in which various Iranian targets in the Damascus area were bombed and Syrian air-defense batteries were knocked out of action after they opened fire at the Israeli aircraft.